Step 2 – Add water and mix to a firm dough. Knead dough briefly. 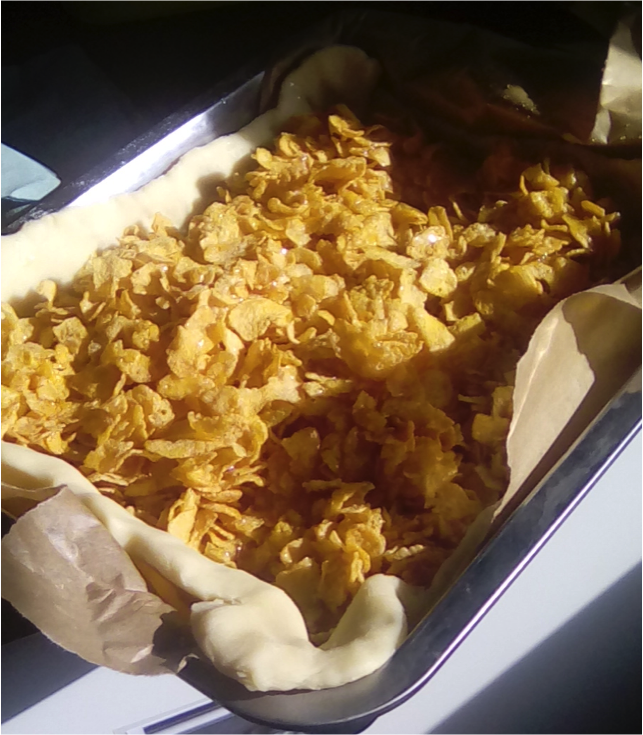 Step 6 – Spread thin layer of jam over the pastry case and place cornflake mix on top. Step 7 – Return tart to over for 5 minutes to all the mixture to set.